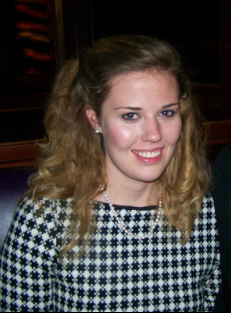 Mariel Braun is a junior at Texas A&M University studying Agricultural Economics with a minor in Economics and an emphasis in Finance, Insurance and Real Estate.Upon graduation Mariel will also receive a minor in Economics, a Certificate in International Trade and Agriculture as well as be able to sit for the Certified Financial Planner board exam. As a sophomore in high school Mariel became increasingly interested in the financial planning career through her membership in the Academy of Finance program that her school offered. She sought out to learn more about the profession from the only financial planner she knew who happened to be an Aggie. At Texas A&M Mariel is involved in her department and serves in a leadership capacity as an Agricultural Economics Aggie REP. Mariel has attended the Financial Planning Association Experience in San Antonio (2012) and Orlando (2013) as well as the annual Financial Planning seminar put on by the Texas A&M Agricultural Economics department (2010-2013). She also works as a student worker for the Texas A&M Financial Planning program as well as in the College of Science Dean's Office. As a member of Kappa Delta Sorority, Mariel serves as the Raffle Committee Chair for her chapters annual Shamrock philanthropy event. Andrew Edwards is from Nederland, Texas. 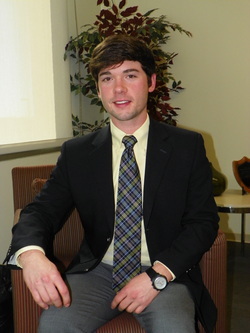 He is a senior Agriculture Economics major at Texas A&M University in College Station. He is pursuing a certificate in Financial Planning and will sit for the Certified Financial Planner board exam after graduation in August. 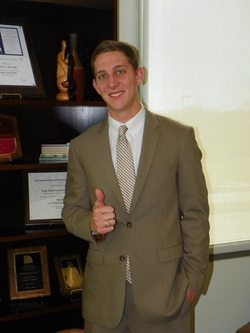 Andrew is a student worker for the Financial Planning program at Texas A&M. Having worked in the insurance industry for two years, Andrew brings expertise in both financial planning and asset protection to the BEL Financial Planning team. Along with work and school Andrew is very active in extracurricular activities in and out of Texas A&M. Andrew is a member of the Texas A&M Sailing Team. He is also a member of the Department of Agriculture Economics Aggie Rep's, an organization that acts as a liasion between students and administraion within the department. Andrew is also very active in the Aggie Conservatives and in the past he has served as a Chairman of a Student Government Association subcommittee. Out side A&M Andrew is a active member of the Coastal Conservation Association and Ducks Unlimited. Henry Lande is from Liberty Hill, Texas. Currently he is a senior at Texas A&M University studying Agricultural Economics with a focus in Finance and Real Estate. After attending the FPA Experience 2013 in Orlando, he began pursuing a career in financial planning. His unique coursework has provided him with many opportunities to learn about this fascinating career and establish his pathway to becoming a CFP(R). Currently he is President of the Society of Finance, Insurance, and Real Estate. He also serves as Finance Officer in Ol' Army Gentlemen's Society. He has been involved in many other facets of campus including SGA and Fish Camp. All have played integral parts of teaching him to accommodate to various peoples needs and wants.